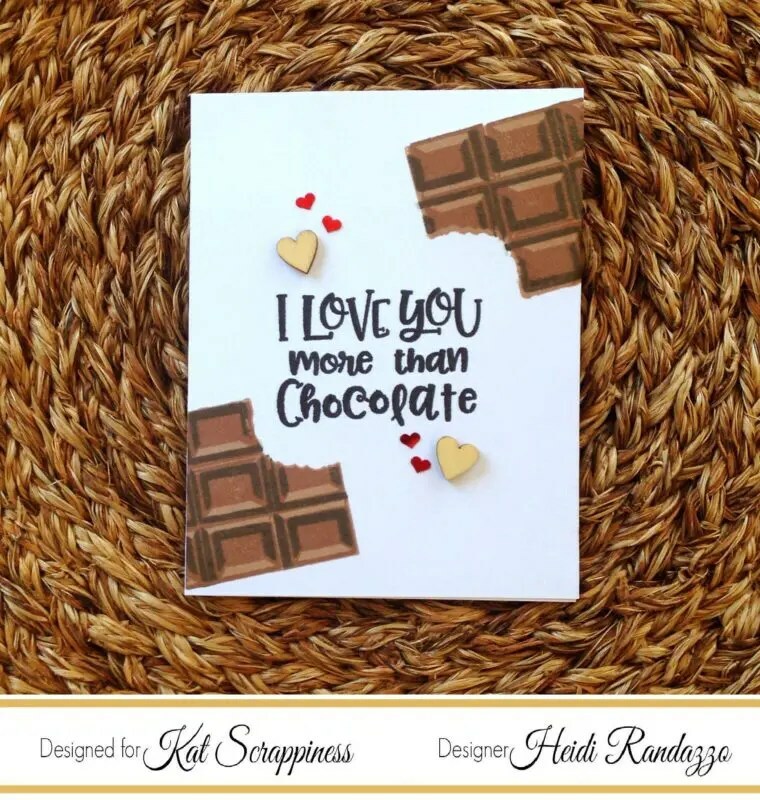 It’s Heidi and I have a clean and simple project using the new Chocolate Lover’s Card Kit and Chocolate Lover’s stamp set from Kat Scrappiness. 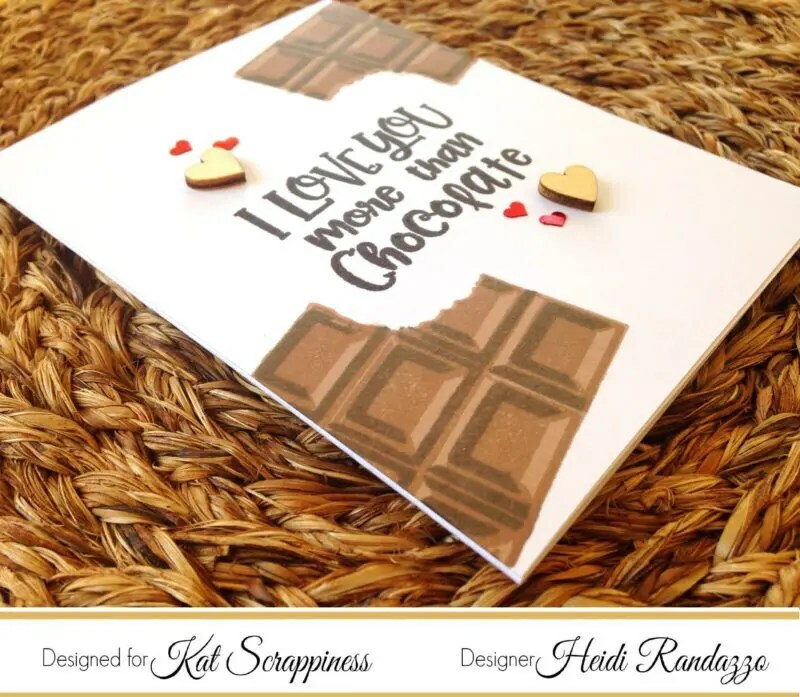 This kit is full of all kinds of fun products and the chocolate bar is so realistic-looking with all the layers! 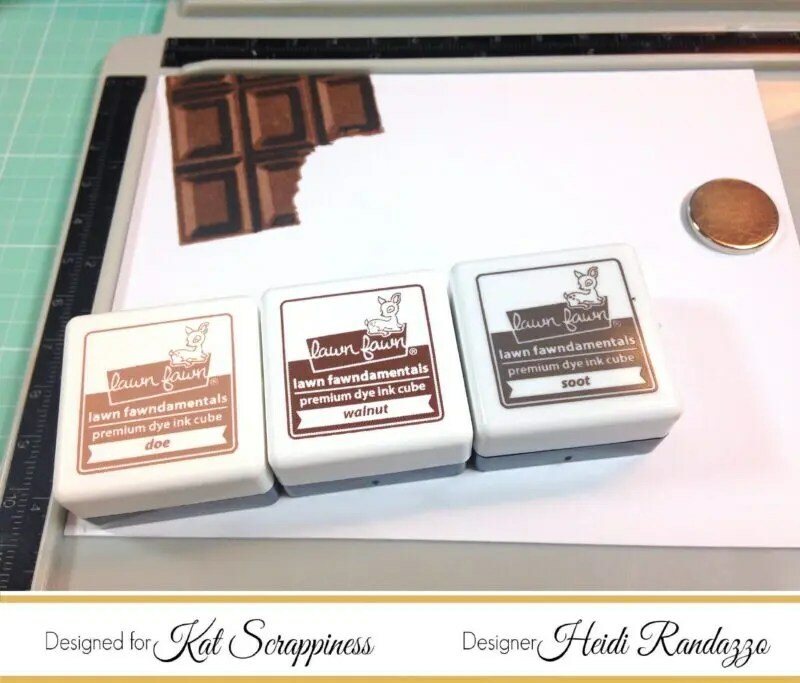 Be sure to download the key for stamping the layers of the chocolate bar and wrapper from the Kat Scrappiness shop. 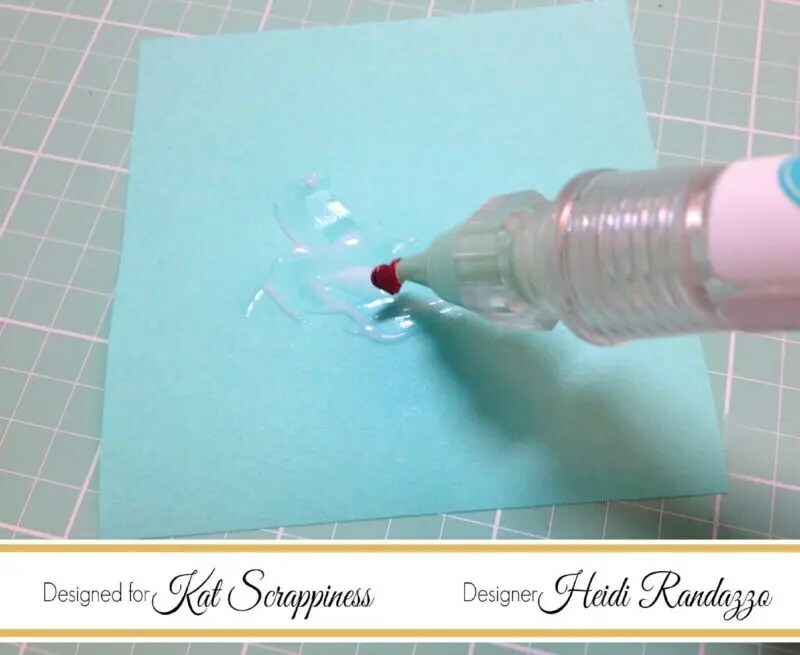 It’s really easy using a stamp platform! I used 3 kinds of brown ink from Lawn Fawn. A quick trick for adhering the tiny heart sequins from the kit is to spread glue on a Post-It note and run the back of the sequin through it with a pick up tool. You get just enough glue on the embellishment without it seeping around the edges. I used RangerMulti-Medium Matte because it dries clear. Be sure to check out all the great products included in this awesome card kit–more projects to come!